As per IRDAI, the insurance regulator – it is now mandatory to link your Aadhaar and PAN number with your insurance policies. Though this linking process does not have a deadline right now, its advised to act fast and complete this action asap to avoid any last minute rush and issues which you might face at the time of renewal or claims. Note, that those investors who still don’t have PAN , have an option to submit form 60. 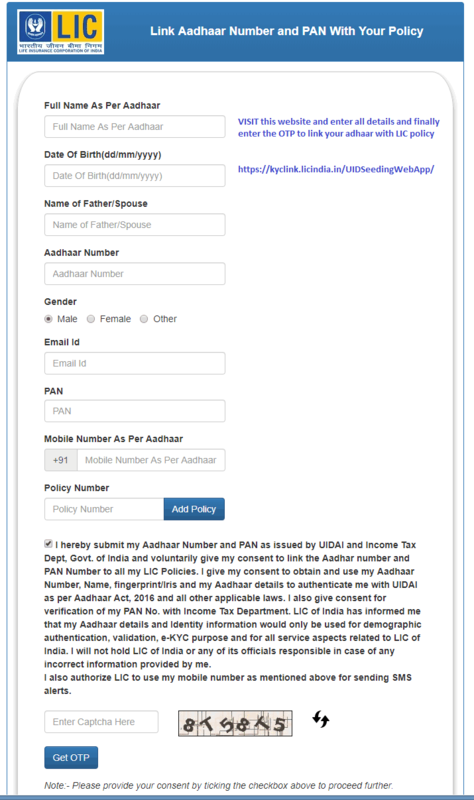 How to link Aadhaar & PAN in your LIC policy? If you have any existing life or health insurance policies, you should link your Aadhaar and PAN soon. As most of the investors have LIC policies, I am covering the online and offline process for LIC policies right now in this article and will give the links to update the Aadhaar for some other companies as well. If you want to update your Aadhaar in your LIC or any insurance policy, the first criteria is that your active mobile number should be linked to your Aadhaar number, so that you can generate OTP which is necessary for the registration process. and then click on generate OTP. Here is how it looks like. Step #3: You will get an OTP on your mobile, which you need to enter on the site and click on submit. You will see the massage of successful registration for Aadhaar linking with LIC. It might take few days to link your Aadhaar number with your Policy. Once this linking process is completed after verifying your details from UIDAI, you will be informed via SMS/e-mail on your registered mobile number or mail-ID. You can also watch this video to know the process. You can also have an option to visit your LIC branch and fill up the offline form to link your adhaar and PAN with your policy. Make sure to take an acknowledgement letter once you complete the process. 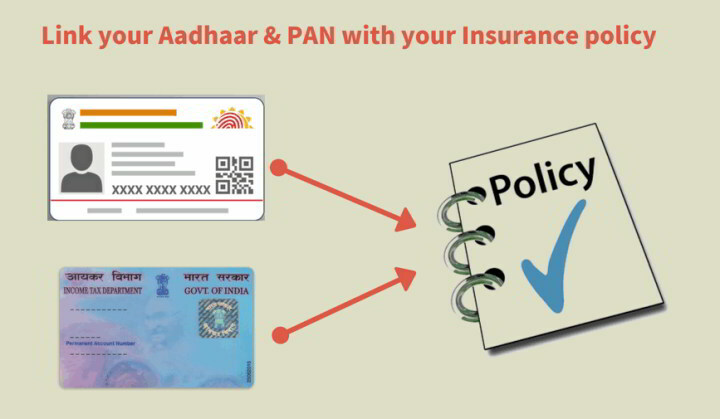 How to link your Aadhaar and PAN with non-LIC policies? Each and every insurance company has implemented the solution of linking Aadhaar with policies and you will find a dedicated page on their website. Just search for “Aadhaar + PAN + Linking + <<enter Insurance company>>” in google and you will surely get the link for completing the Aadhaar linking process. However we are putting up a small list of some insurance companies and their respective links to make it easy for you. Note that this takes just 1-2 minutes of your time, but its an important thing to complete. If you still have any doubt regarding this linking process you can leave your query in the comment section. Thank You Jagoinvestor for this useful info. I am your regular reader & I love your content. keep it up. Thank you so much Jagoinvestor for the valuable r information to and links to update Aadhar and PAN details.